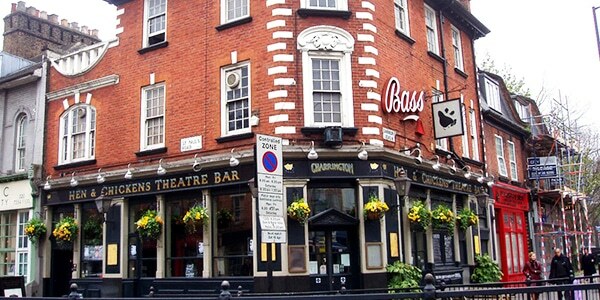 The Hen and Chicken’s Theatre Bar has been established for over 25 years. The 54-seat black box theatre has hosted a variety of comedy and new writing over the years. The theatre saw some of the first public performances of acclaimed sketch shows The Mighty Boosh: Artic Boosh, and Garth Marenghi’s Fright Knight. The theatre offers a mix of new writing (often comic), stand-up work-in-progress shows, sketch, improv, and character comedy. The resident theatre company is Unrestricted View, set up by James and Felicity Wren in 1997.